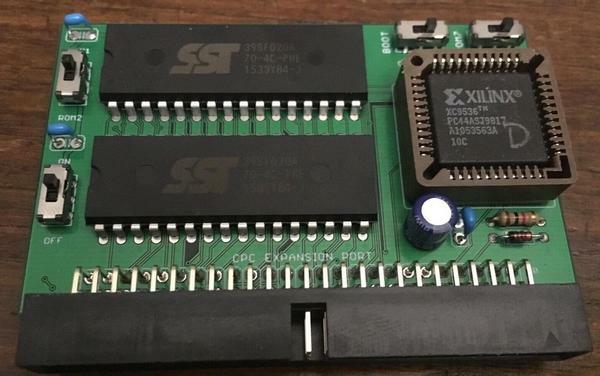 The D-ROM is a ROM Board that allows to add two different configurations (2x16 ROMs) to your Amstrad CPC. Very useful if you do tests or if you have several different uses of your machine, to avoid reprogramming! This allows you to have resident programs in memory right from the start of your CPC. MX4 connector for MotherX4. Require an Edge or Centronics ribbon cable for a standalone usage. My expansions are perfectly working and I do the support of them for first hand only. Tracked International mail is your responsibility. Shipping insurrance available (registered mail) for extra 3€. Ask it if required.